Step inside the main corridor of the DeKalb County Farm Bureau Center for Agriculture and the first office on your right is the Ag Consulting Group (ACG). 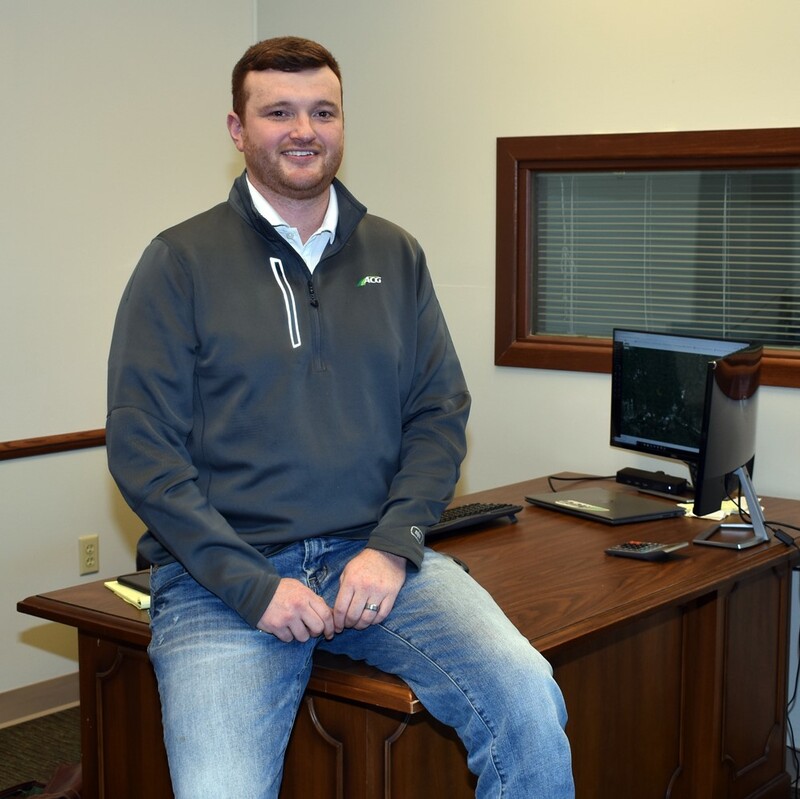 Jeff Worster with the Ag Consulting Group moved into his new office in the Farm Bureau Center for Agriculture the first of this year. Farm Bureau welcomes ACG as a new tenant to the building effective January 1st. Occupying the office is ACG territory manager Jeff Worster. ACG is an independent consulting group which helps farmers manage their risk through marketing services. “We like to say we assist with the how, when and where to market grain,” explained Jeff. Formerly a grain merchandiser and grain elevator manager for Archer Daniels Midland, Jeff recently joined ACG. He enjoys working directly with farmers in customizing their marketing plans. The ACG manager works with farm customers from central to northern Illinois and Wisconsin. Jeff communicates regularly with his customers providing marketing information and reports on a daily basis and makes marketing recommendations. The Sycamore office is one of four offices for ACG. Their other offices are based in Kearney, Neb., and Holdridge and Princeton, Ill.
Jeff resides in Crystal Lake and makes the commute daily to Sycamore. Office hours are Monday through Friday, 8 a.m. to 5 p.m. 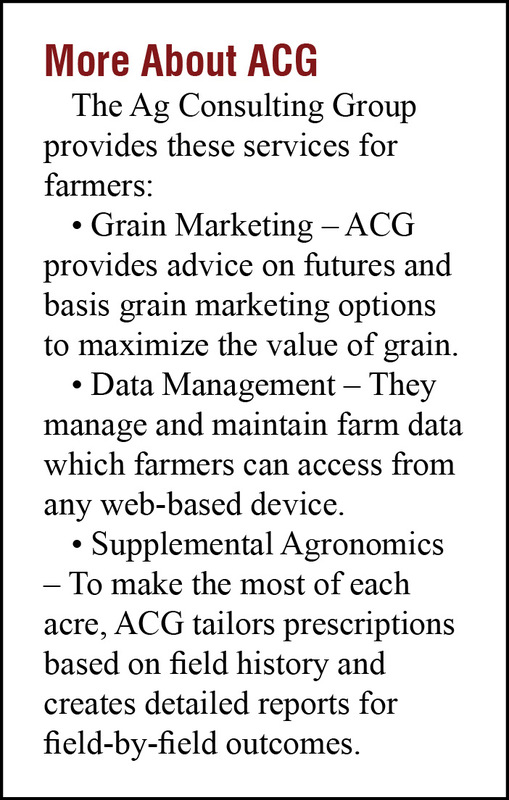 In addition to grain marketing services, ACG provides business services of precision data management, as well as farm and field analysis. Open to all interested farmers.